We look at the trends of recent winners at TPC Sawgrass and see which players fit the pattern this year. 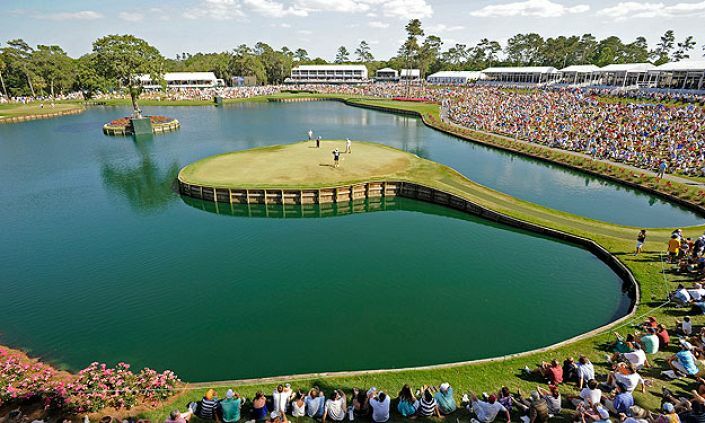 Commonly known as the ‘fifth major’, The Players Championship at TPC Sawgrass is one of the highlights of the year. A high quality field playing on a signature golf course ensures the tournament lives up to its billing. We have looked at the profile of the last eleven winners and three noticeable trends appear. Eleven of the last twelve winners ranked inside the top-60 on tour for scoring average in the year of their victory. To conquer Sawgrass you need to be a good player, playing well. The danger at TPC Sawgrass lies in approach to the greens, where there is a thin line between success and failure. It makes sense therefore that ten of the last twelve champions ranked inside the top-60 in strokes gained tee-to-green. TPC Sawgrass isn’t a bomber’s course but eleven of the last twelve champions were ranked inside the top-60 on tour for proximity with approaches from 200+ yards. Record at TPC Sawgrass is improving with experience and leads the tour in total driving. Playing well and has a big win in him. Might struggle to get over the line but has five top-5s this season and a good record a TPC Sawgrass. Defending champion whose results are trending in the right direction since he returned refreshed from his spring break. Runner-up in 2012 and encouraging T14 at Quail Hollow last week, on a course that is too long for him. Finished T8 last year and his superb wedge play can put him in contention.